Perfect for single travelers and couples, these quaint cabins are furnished with a queen bed, its own kitchenette and a bathroom with shower. 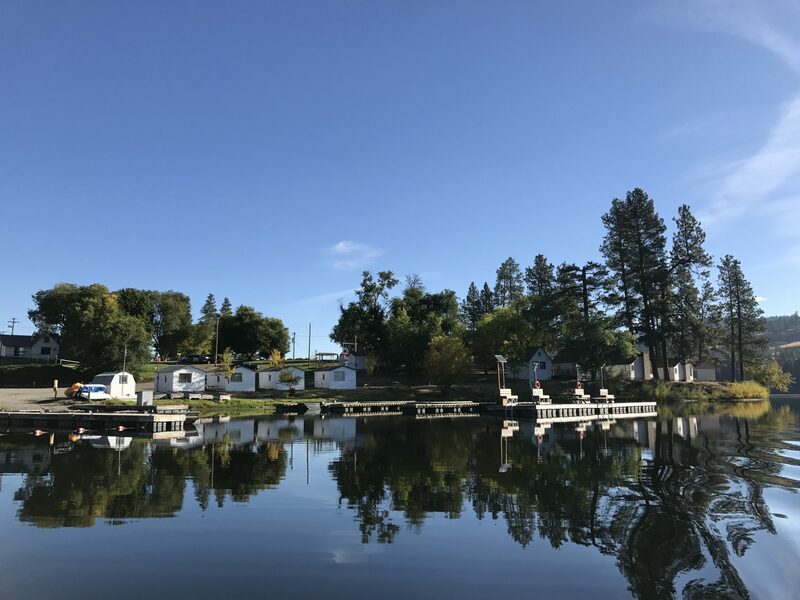 Sleeping two comfortably, our studio cabin also comes complete with fresh sheets, blanket and comforter…all you need to stay warm during cool evenings on the lake. Free Wi-Fi access. 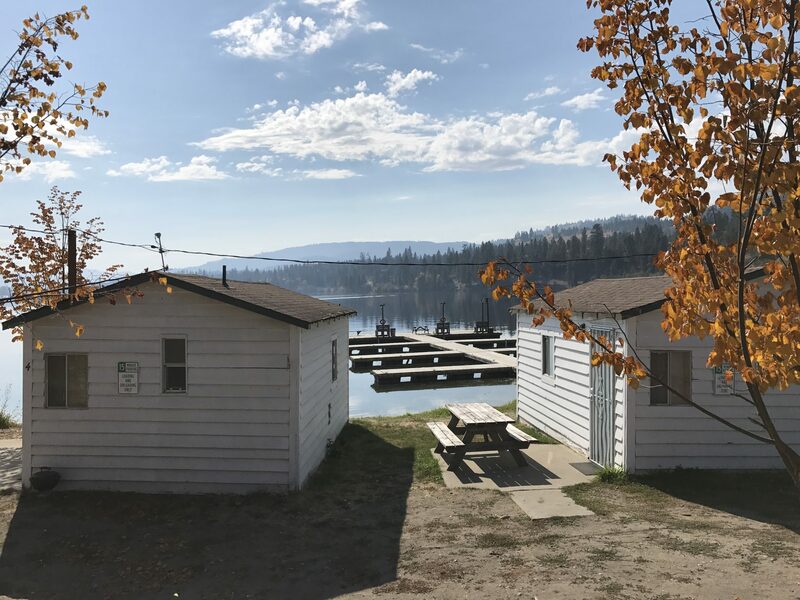 Our studio cabins are located buy the lighted fishing dock. See resort map. 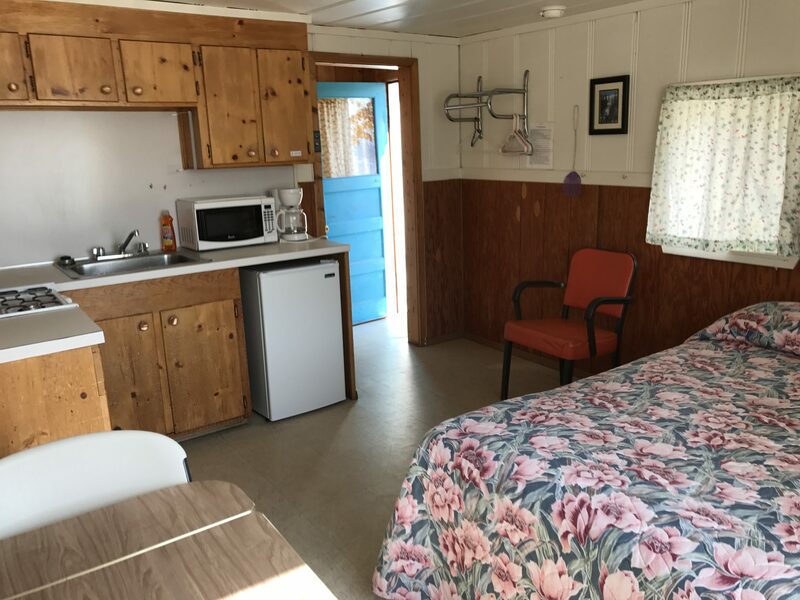 All cabins include a toaster, coffee pot with filters, oven with stovetop, refrigerator, microwave oven, all cooking and eating utensils, bathroom with shower, patio with picnic table, heat and screen door for air flow.